Warning - I'm gonna brag in this post! In the past month and a half of lost weight and inches in an effort to take back my health. 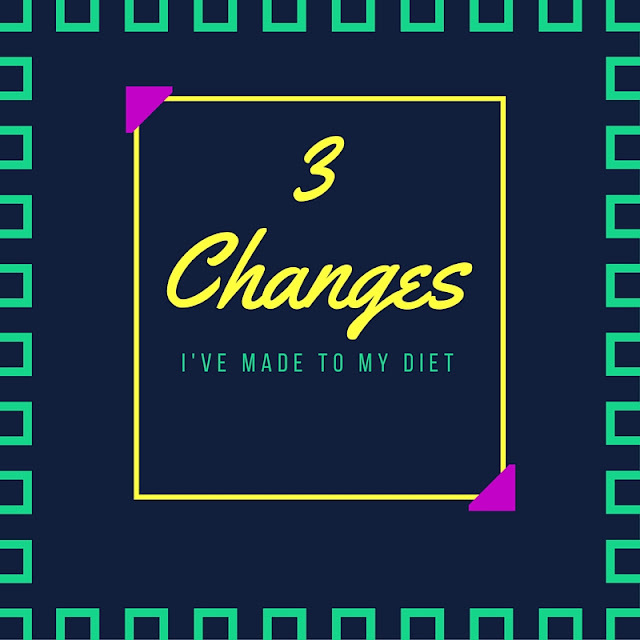 Some people have been asking what changes I've made so I figured I'd do a blog post about it. I do love carbs, especially with pasta but I have really been trying to avoid them lately. And it's really helping me drop weight. So instead of my usual ground beef and brown rice, I opt for veggies like bell peppers or broccoli. They still fill me up but they don't have nearly as many calories as rice would. Since I'm cutting carbs that means I have to cut out more foods like pizza, and sandwiches with bread. Instead I eat the meat and the veggies so I'm getting protein and my vitamins and nutrients that I need each day. Since I'm working out 4 days a week I need protein so my body can help build muscle. I have been eating ground beef during the week because first of all I love it and second of all I just can't do chicken. I think chicken is so boring! Don't hate me! I used to snack on all sorts of things but now I'm being really smart about what I consume. I hate feeling hungry so I needed to find a snack that would help me feel full AND benefit my body. So I've discovered New Zealand Jerky and I'm obsessed! It comes in three flavors - Original, Peppered, and Teriyaki and it contains no GMOs. It's so delicious and packed with protein which helps me feel fuller and also gives my body the protein it needs. New Zealand Jerky infuses real wood smoke during the cooking process of their jerky so it has an AMAZING flavor. You have to try this stuff, seriously!! So that's what I've been up to. Keep following along so you can see my health and fitness progress!